Google is making plans to turn its +1 button into a crowdsourcing tool that helps it re-order search results and fight web spam. While not surprising, the move would bring Google’s search engine into the social networking era, while simultaneously creating a new avenue for blackhats to manipulate search results and potentially incurring the wrath of trust-busting authorities. Google confirmed its plans in an e-mail to Wired.com. Google Inc has been ordered by city police to suspend its “Street View” service in the Indian IT hub of Bangalore, the company said on Tuesday, in the latest setback to its global mapping project that has been hit by privacy fears. The technology giant has sent a fleet of cars around the globe to capture millions of images used with maps as part of its panoramic Street View service, but faces regulatory challenges from authorities across the world on data protection concerns. “We received a letter from the commissioner of police regarding Street View. We are currently reviewing it and have stopped our cars until we have a chance to answer any questions or concerns the police have,” Google said in a statement. The commissioner of police declined to elaborate on the reasons for the letter when contacted by Reuters. Bangalore is the leading IT hub in Asia’s third-largest economy, where Google employs thousands nationwide and where global technology giants such as Microsoft, Yahoo and Intel also have offices. Google began collecting images three weeks ago in Bangalore, the first Indian city targeted by Street View. Google has just announced that it’s rolling out a new feature over the next week called the People Widget — a small sidebar to the right of email messages that features contextual information about the people you’re interacting with in Gmail. I don’t have the feature active yet so I’m going by the screenshots provided, but it looks like the widget includes each person’s job title, recent email exchanges you’ve had with them, photo, calendar availability, and shared Google Docs. It also includes Buzz updates (hopefully Twitter integration is coming as well). If you only exchange a handful of messages a day then this probably isn’t a game changer for you, but if you’re constantly having to deal with a flurry of projects and hundreds of contacts, then it could be a godsend. The executive chairman of Google has warned governments against facial recognition technology – saying it is ‘too creepy’ even for the search engine. Eric Schmidt said that the technology has advanced rapidly in recent years and that it could be rolled out across the internet. But the controversial technique has angered privacy campaigners who claim that it would be a further erosion of privacy and civil liberties. 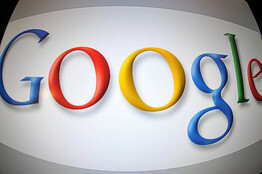 Now Schmidt has dispelled any suggestions that internet giant Google would be the first company to employ the system. But he warned that there were likely to be other organisations who might ‘cross the line’ and use facial recognition. Speaking today at Google’s Big Tent conference on internet privacy, technology and society, in Hertfordshire, Schmidt said that the accuracy of such technology was ‘very concerning’. 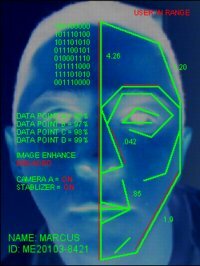 Facial recognition would work by scanning in a photograph of somebody’s face in order to potentially reveal personal information about them. Crime fighters argue that it could be used to trace suspects who have been recorded on CCTV. But civil liberties groups say it is an invasion of privacy. Google has long let you look up local businesses on its mobile search page, leveraging the location services features on smartphones. Friday, they added local news. The address is the same — news.google.com — and the sources are those already available via Google News. But now you are prompted to agree to share your location, rather than punch in a zip code or locale name on the personalized landing page. the discovery engine doesn’t just leverage your location to tap into local sources for news, it also find stories about your location from publications that aren’t near you. Google Inc. told Indian regulators in a confidential memo that tough proposed restrictions on Internet content could hamper the company and others in a promising market by exposing them to liability for a broad swath of material published by third parties. The regulations were enacted last month with little change from the proposal. Google’s concerns, laid out in a February memo reviewed by The Wall Street Journal, added to criticism from civil-rights advocates who said the rules amounted to a crackdown on free speech on the Web. Among other things, the rules require websites to remove objectionable content, including anything “grossly harmful” or “harassing.” They require Internet-service providers and social-networking sites to bar certain types of content under terms-of-service agreements with users. The websites also are responsible for removing objectionable content within 36 hours of being notified by authorities. Google defended its music storage service at a press conference today shortly after it unveiled the service at its developer conference here. The new Google Music service, which allows people to store up to 20,000 songs in the Internet “cloud.” The benefit of doing this is that they will then be able to access the music from any Web browser that supports Flash or Android devices. The service is still being beta-tested and will only be offered to a select group of invitation-only users in the U.S. Initially, the service will be free to users, but Paul Joyce, a Google project manager demonstrating the service during the keynote this morning at Google I/O, hinted that Google may charge for the service in the future. He also hinted at capabilities being added to the service in the future. 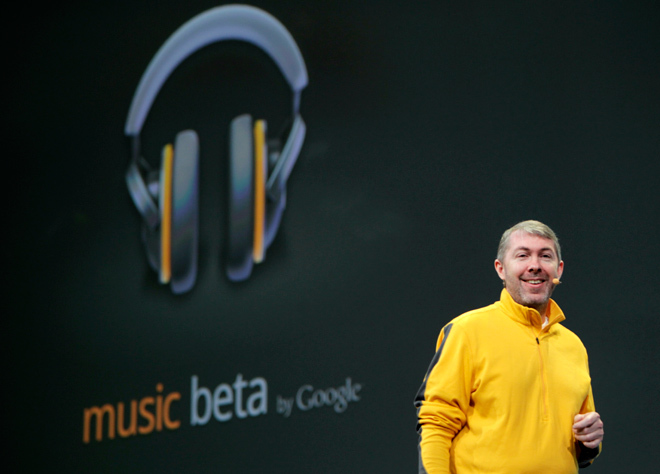 But for now Google only will allow music to be stored remotely. It won’t allow users to purchase new music via the cloud. Jamie Rosenberg , direct of digital content for Android, answered a question from a reporter about whether Google was afraid that music studios would take issue with Google allowing its users to move music digitally across the Internet. He responded by saying that the service is “completely legal,” because it allows people to store only music that they own legally. Rosenberg admitted that Google had wanted to offer music labels an opportunity to sell music to Google users through the cloud service, but that the labels had asked for certain conditions that Google couldn’t accept. The next Android operating system for smartphones will include some features that were previously exclusive to Android tablets, Google announced Tuesday. Dubbed “Ice Cream Sandwich,” the platform will debut some time in the fourth quarter of 2011, Google officials said during the company’s I/O developer conference. 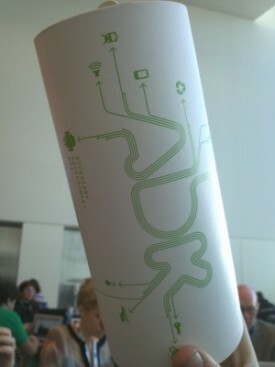 “We want one OS that runs everywhere,” Android engineer Mike Claren said at the conference. Ice Cream Sandwich-powered smartphones will ship with enhancements introduced in Android Honeycomb, Google’s operating system for tablets. Some of these new features include a holographic user interface, enhanced multitasking abilities and the ability to connect the smartphone with a USB device, such as a mouse or an Xbox controller. 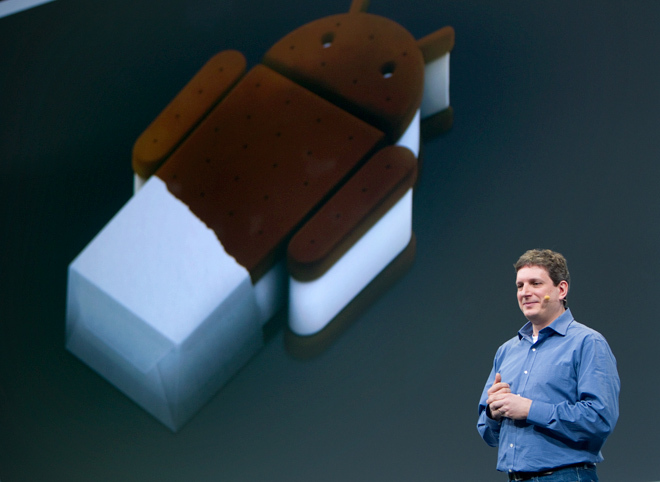 The release of Ice Cream Sandwich has been highly anticipated by the Android developer community. Android version 3.0 (Honeycomb) first debuted on Motorola’s Xoom tablet in February, touting a host of enhancements and features new to the Android platform. Developers have been waiting for Google to release the Honeycomb source code, in order to bring some of these features to smartphones. Google’s Android operating system may have been created for phones and refined for tablets, but the OS is set to move beyond the bounds of mobile devices. Today, Google announced a new class of Android devices for the home during the opening keynote at its annual I/O developer’s conference in San Francisco. These devices—dubbed “Tungstens”—act as an intermediary between an Android phone or tablet and a suitably enabled home appliance. They would allow users to remotely control everything from lighting to refrigerators. The company demonstrated how a Tungsten could make playing a game on an Android tablet more immersive: explosions and gunfire set the special lights in the room flickering with every blast. New software that makes it easier for Android devices and their apps to interface with other devices and objects, including home automation equipment, was also demonstrated. In its long-anticipated effort to bring music storage to the cloud, Google debuted its own streaming music service at its I/O developer conference on Tuesday morning. Dubbed “Music Beta by Google,” the service will act as a “digital locker,” where users can store their music in the cloud instead of on their local hard drives or mobile devices. After uploading your existing music library to a remote server, you’ll be able to stream your music to your Android phone or web-connected PC. As long as you’re connected to the internet, you’ll be able to access your music wherever you go. You’ll be able to add up to 20,000 songs, and it’s free while it’s in beta mode.